You already collect the data, now find out how easy it can be to use it. Quality data. You collect it from CMM's, scanners, gages, scales, lasers...the list goes on and on. More and more devices come out every day that offer new, and innovative methods of getting accurate measurements of parts and assemblies. Get that gap on every third part, get the flush here, check the hole and pin, make sure that slot is good. You need to check paint depth, weight, thickness, offset...there are as many things to measure for as there are devices to measure with. Then you have to make that data work for you. 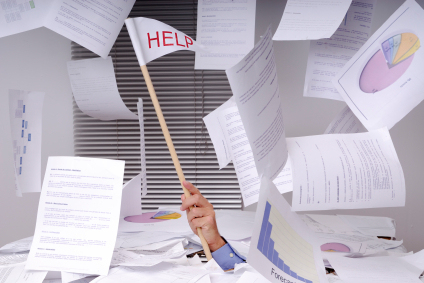 You need to make decisions, and you need to deliver results to customers and managers. Dimensional Control Systems joins MSC Software’s Technology Partner Program as a Software Community Partner to create a seamless workflow for FEA tools and DCS Tolerance Analysis. 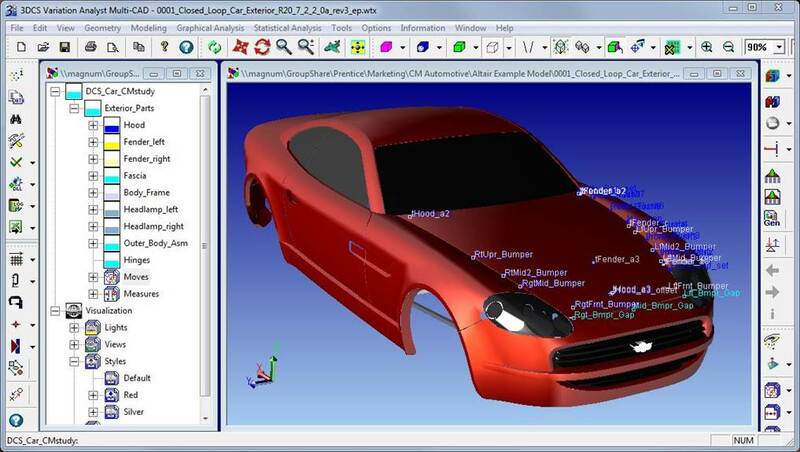 Troy, Mich. – Dimensional Control Systems, Inc. (DCS) has joined MSC Software’s Technology Partner Program to focus on improving the workflow between Finite Element Analysis (FEA) and Variation Analysis. 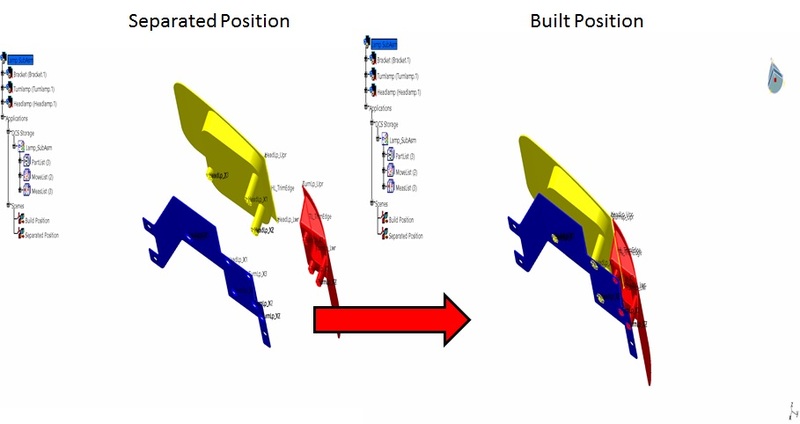 As a Software Community Partner of MSC Software, DCS will enhance the connections between the two families of tools to help customers incorporate FEA into their Variation Analysis models. Enhanced Scenes allow you to customize the configuration of your model at nominal and exploded view. This can be helpful when modeling assembly processes or checking your work. Advances in Engineering Tools and Processes Continue to Push the Envelope for Quality and Performance. The vehicles displayed at the International Auto Show at the Cobo Center in Detroit were a testament to human ingenuity. 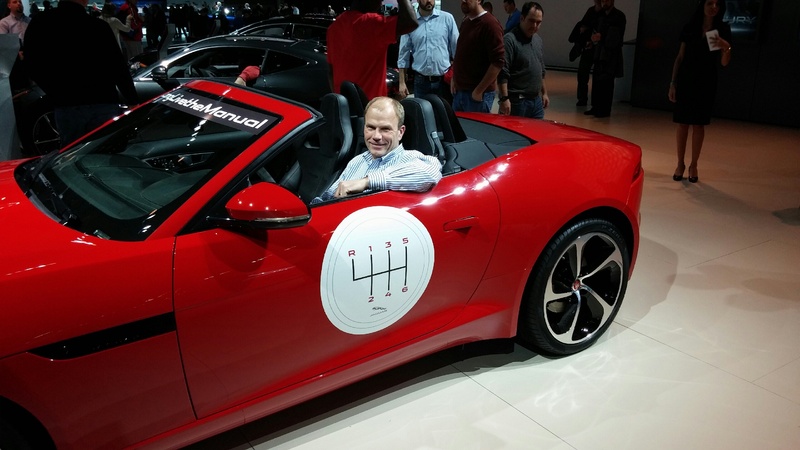 It's become a tradition for DCS Vice President of Sales Don Jasurda to get his picture taken in a Jaguar at the North American International Auto Show in Detroit. The annual moment is a chance for DCS and longtime customer Jaguar Land Rover to catch a breath and enjoy the outcome of their long hours of work from the past year, away from the manufacturing and testing sites of the their usual workdays.